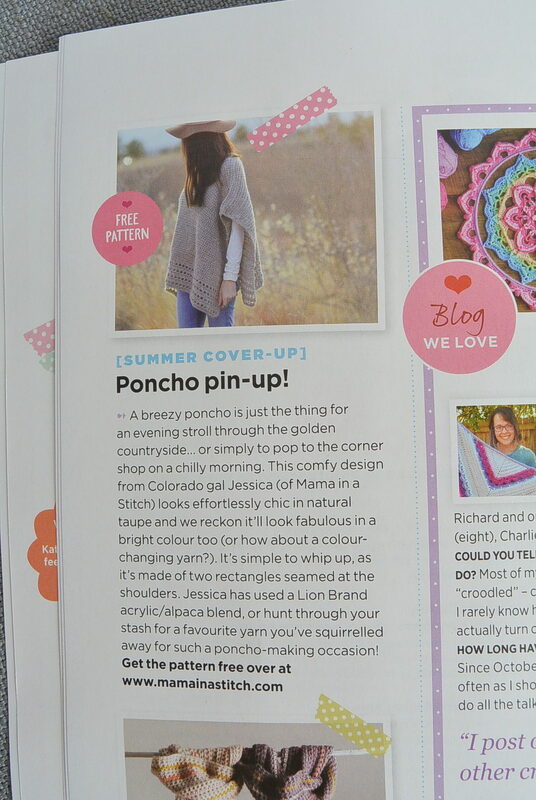 It’s such an honor and so much fun to see my Light Alpaca Poncho featured in the most recent issue of Inside Crochet Magazine! 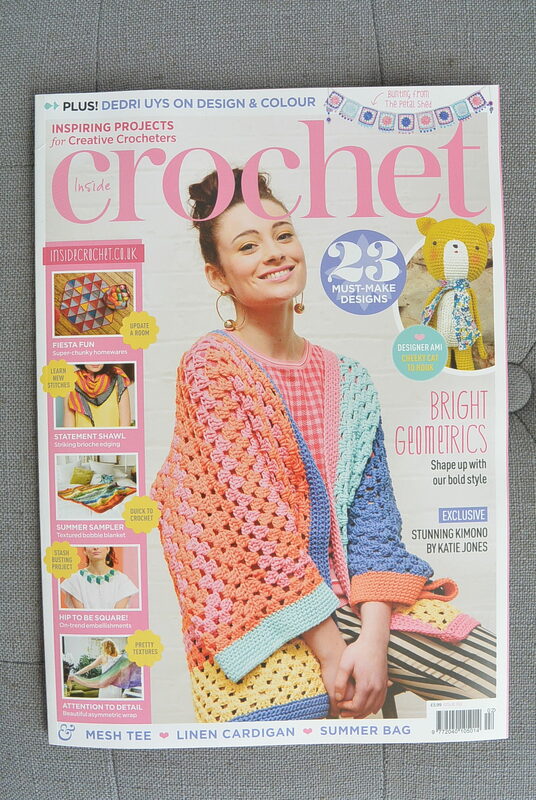 A while ago Inside Crochet contacted me for a feature on blogs they love (here), and again I was thrilled to find out the poncho would be in this current issue. 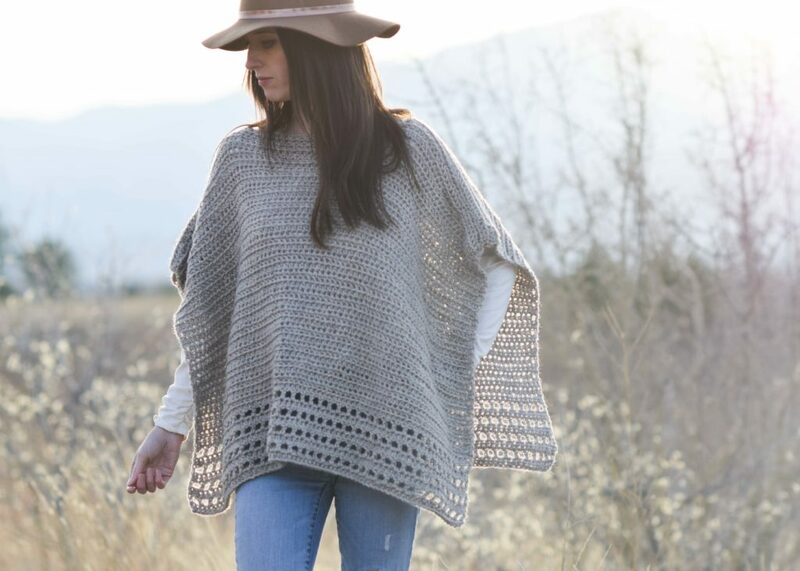 They mention that the poncho looks “effortlessly chic in natural taupe” and then suggest that it could look awesome in a bright color or color changing yarn. I have to agree! In fact, one of my dear readers Pam sent me a photo of the poncho done in bright red and it was amazing. If you’ve never bought Inside Crochet, it’s so beautiful and features a wide variety of projects that are super colorful and happy. This issue in particular has some really cute projects. I especially love a colorful basket made of crocheted triangles called the Fiesta Basket. 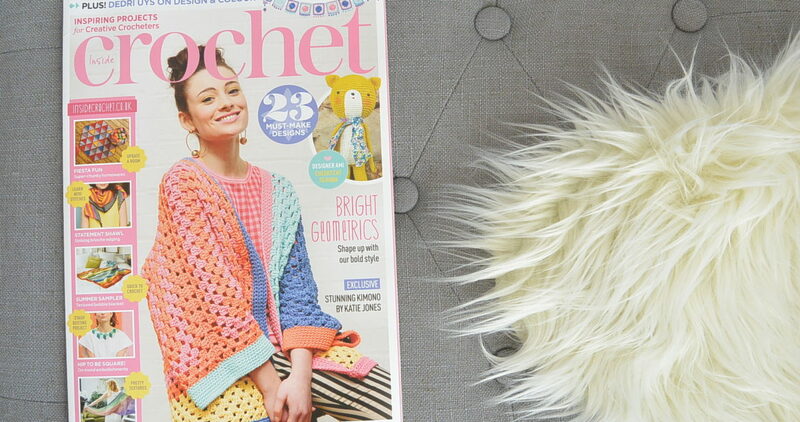 Each issue that I’ve bought has endless modern patterns that make my mind go crazy with ideas and inspo! While I do a lot of reading, writing and blogging online about crochet, there is something so relaxing about holding a magazine with gorgeous photos. This mag is chock full of inspiration and once again, it makes me want to get braver with color. Look at that cute little cat on the cover – who else wants to do some amigurumi? If you’re out shopping and you see Inside Crochet, take a peek! And thanks to those of you who have written me already as you’ve seen it in your store. What fun! Thank you so much to Inside Crochet Magazine for this lovely feature and to each of you for your continued inspiration! How exciting, Jessica. I love following your wonderful successful life. Congrats! Thanks for sticking with me Wendy and for your kind support!! That pouch is so cute. In another matter, so proud of you to get published for the shawl. You go girl. Ahh you’re so sweet. Thanks Gwyn. Congratulations! Love your patterns, thank you for all you do for us! Thank YOU Dee and you’re welcome – I have so much fun with the blog!